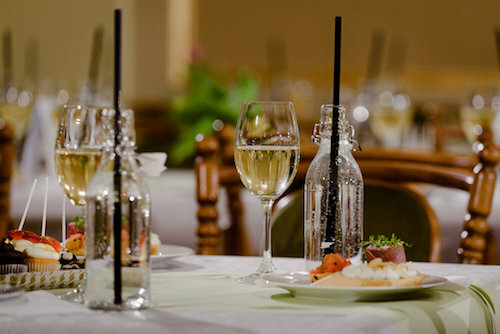 GALA Night is a pleasant, international evening held in English language where people from various corners of the world can talk, dance and meet new friends to feel sweet home in the Czech Republic. 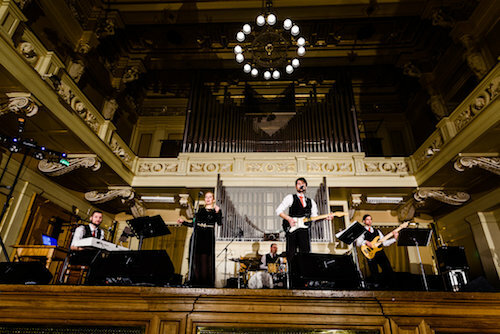 GALA Night is your chance to enjoy the genius loci and historical charm of the beautiful rooms in the residence of Brno Philharmonic Orchestra, Besední dům where the Queen Elizabeth II had lunch when she was visiting the town! Ballroom dance music, as well as the English classic, swing, modern pop and acoustic sessions. GALA Night is a night full of music and performances taking place both in the main dancing room and the lounge. Reserve your seat and let yourself be pampered with delicious refreshment, a glass of good wine and sweet nibbles on the top of it. GALA Night will resonate with all your senses. Together we move the world forward. 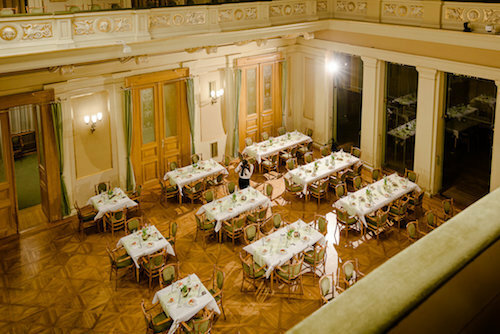 GALA Night organized by Foreigners is the event which the expat community in the Czech Republic has been waiting for. Come enjoy the special atmosphere where the barriers between nations are overcome!